The federal Liberal government will begin levying its carbon tax on greenhouse gas-emitting fuels today in the four provinces that have refused to take part in the pan-Canadian climate framework designed to lower carbon emissions to help Canada meet its reduction targets. The tax or levy is designed to lower the country's carbon emissions so Canada can meet the reduction targets it agreed to at the Paris climate summit. The four provincial governments opposed to Prime Minister Justin Trudeau's plan — along with the federal Conservative party — fear it will be economically damaging and far too punitive for consumers and small businesses. Those costs are expected to rise each year as the carbon tax increases by $10/tonne until it hits $50 in 2022 — meaning those costs will more than double in less than three years' time. To compensate for the cost of living increase, the federal government has vowed to return every single dollar it collects in carbon tax to the people in the province in which it was collected — an attempt to make household budgets whole on the money they'll shell out as part of this carbon reduction scheme. 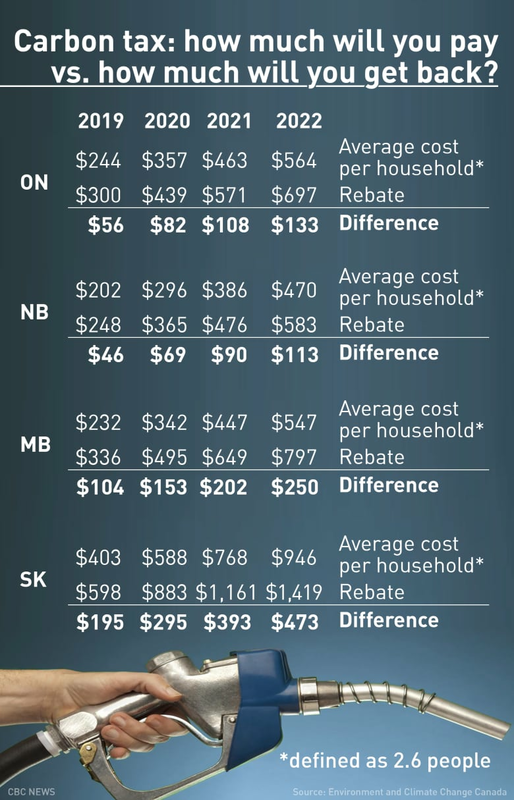 In fact, some Canadians are already set to receive the 'Climate Action Incentive payment', or rebate. It's paid to eligible taxpayers who claim it on their 2018 tax return with the Canada Revenue Agency. Ottawa has said future payments will be made annually and will reflect about a year's worth of emissions. 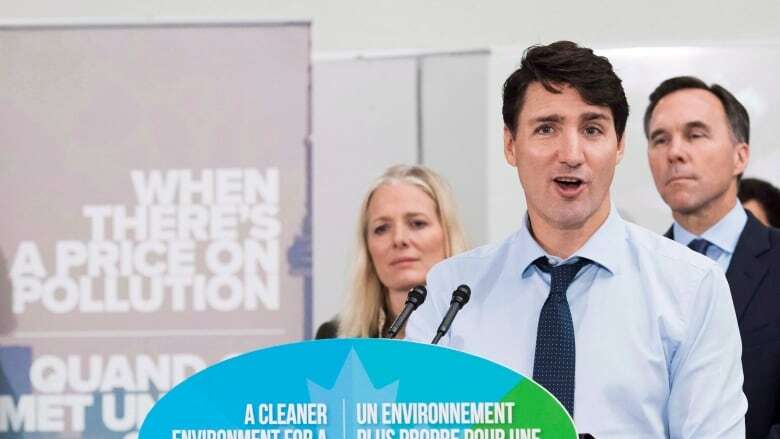 The government says the other 70 per cent of Canadians will receive more in climate rebate payments than they'll pay each year through the new carbon tax. But the federal government has conceded a carbon price alone won't be enough to meet those Paris targets. In 2008, B.C. implemented North America's first broad-based carbon tax. The province has seen some success with its carbon-neutral plan: it lowered income taxes to compensate for an increase in consumption taxes on fossil fuels — the bottom two personal income tax rates were cut, low-income families got a tax credit and the corporate tax rate was slashed.